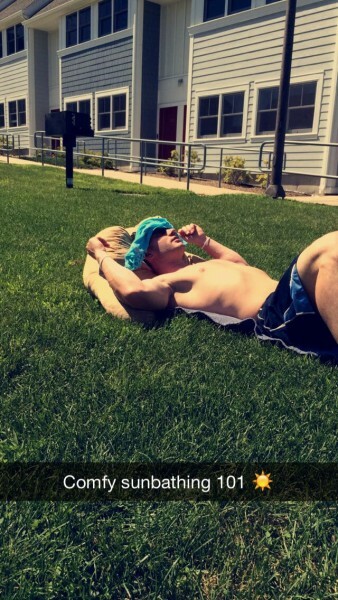 Sunshine, Weekend Recap, FlapJacked, PIZZA, & Sound Tea! The weather was freaking GORGEOUS to say the least so Corey & I made sure to take advantage of every day. Saturday’s workout was front squats before spending the rest of the weekend outdoors. 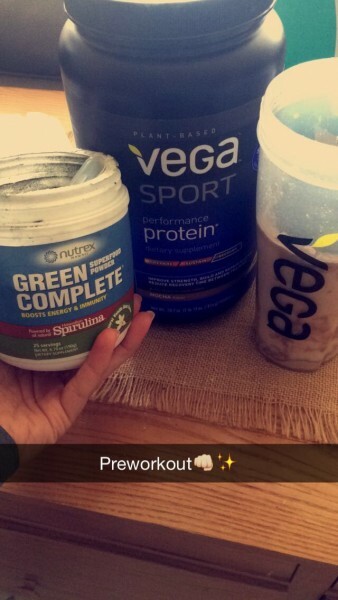 Speaking of VEGA – the winner of the VEGA Marathon Swag Pack is JENNIFER! Congrats babe and thank you everyone who entered! 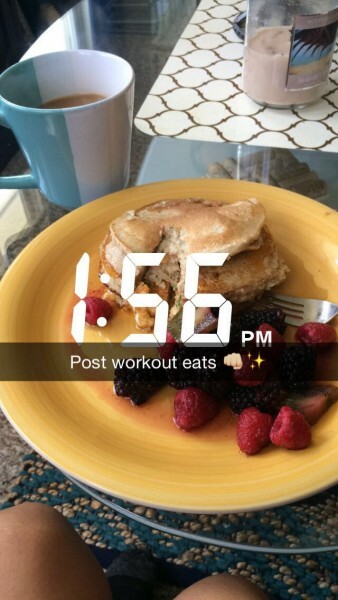 After my workout, I whipped up some powercakes & Corey & I spent some time outside. Yes you can have breakfast anytime of the day. A few hours of relaxing and it was time to get ready to go out to grab dinner! We were craving pizza and I heard a place close by had awesome gluten-free options so we headed there. 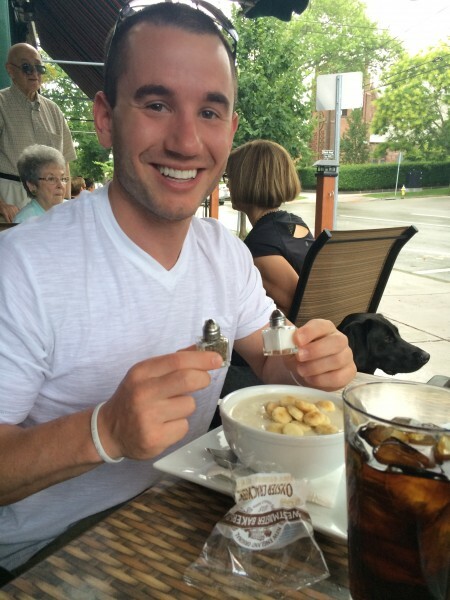 Corey was loving these little salt & pepper shakers haha Part one was a basic side salad with homemade and delicious balsamic dressing. PART TWO: The most amazing pizza ever. 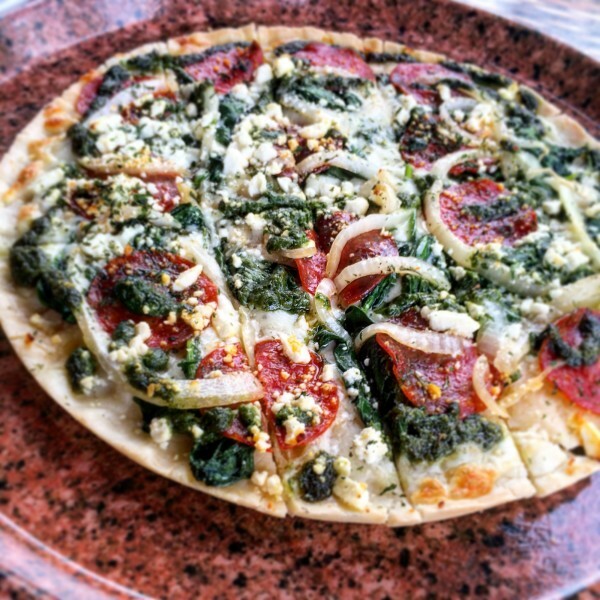 Basil pesto topped with pepperoni, onions, spinach, & feta. 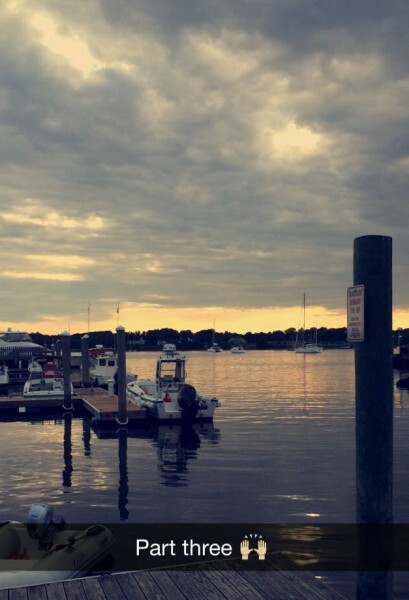 PART THREE: Find an amazing view of the sky and water and sit there. 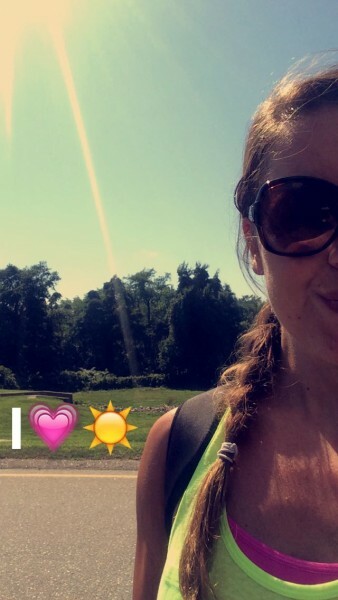 Sunday started out with some clients totally crushing their morning workout! It was another gorgeous day so again, outdoors we went! 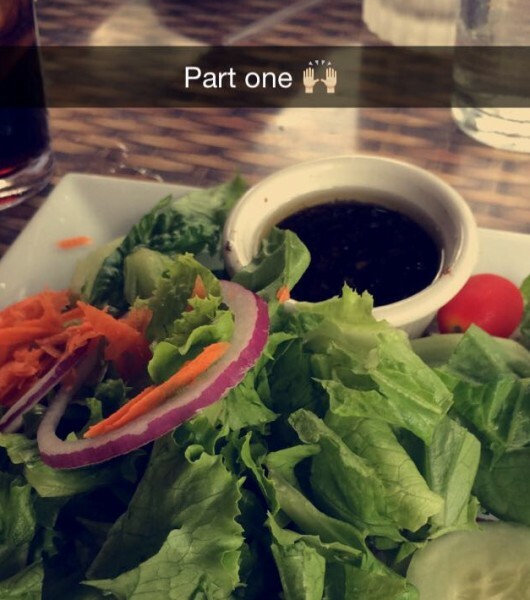 But first…pancakes. Always pancakes. 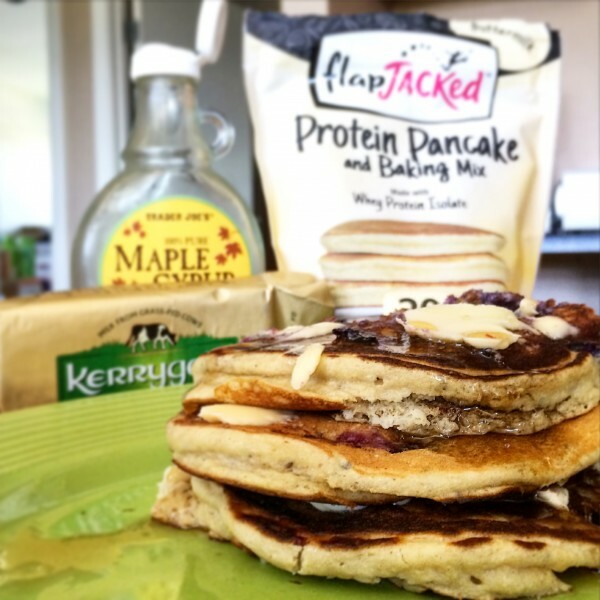 Protein Pancakes mixed with blueberries topped with kerrygold butter & pure maple syrup. My friends at FlapJacked also sent their new muffin mixes that you can make in the microwave! Check them out [here]. Thank you FlapJacked! 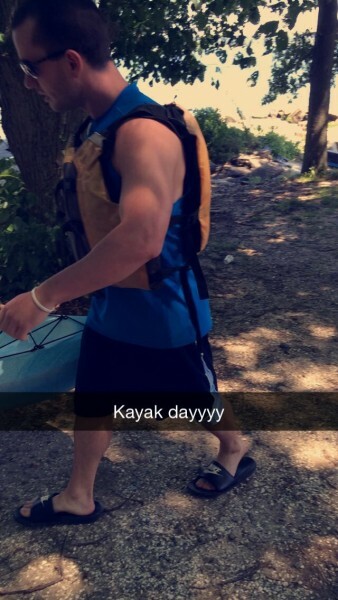 We then headed to go kayaking – which may have not been the best idea after eating pancakes. My stomach was a little iffy from the waves we were hitting BUT the weather was so great it totally made up for the sea sickness happening. The rest of the afternoon we had dinner taken care of in the crock-pot so we enjoyed just sitting outside. 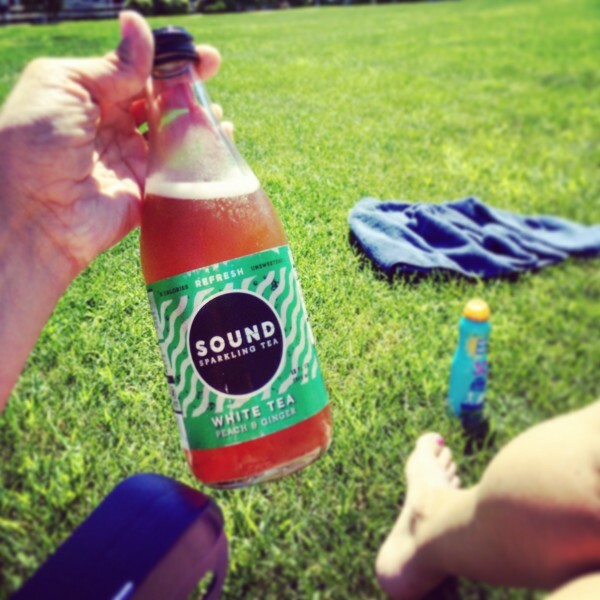 It was a perfect time for some carbonation and my friends at Sound Tea have totally mastered the sparkling tea options! They are unsweetened tea drinks that are carbonated. I had a white tea with peach & ginger while we soaked up the sun. If you want to be really comfy – just ask Corey how it’s done. All in all, this weekend was super enjoyable. It’s been nice with Corey just to take in each day and enjoy it to it’s fullest. 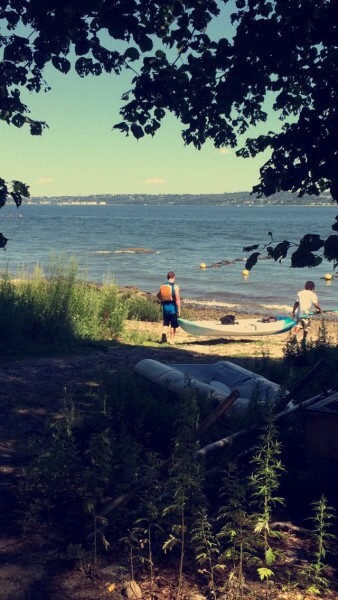 7 Day Holiday Weekend Recap! Pancakkkkeeeeessss 😀 just had some today!! 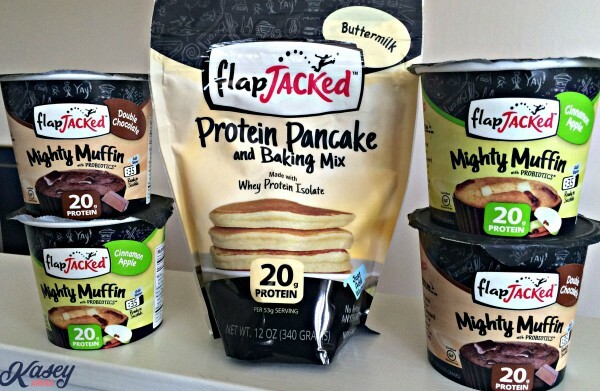 I love Flapjacked pancakes but totally need to get my hands on those muffins! 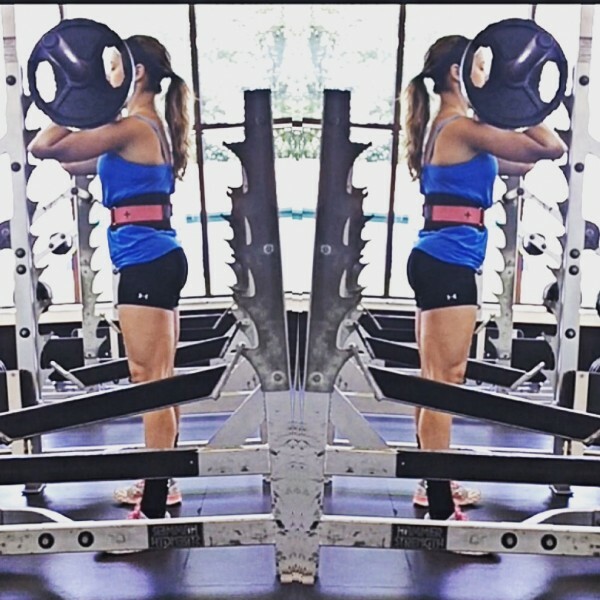 You always look so strong when you post photos of you lifting-you rock! Looks like you had a awesome day..